pain | Who Ate My Breadcrumbs? There’s a song by Savage Garden (I really wish they’d reunite, btw) that has a line that goes “I believe forgiveness is the key to your unhappiness.” And lately I’ve come to realize that this is true. Forgiveness. So much power in one little word. Such a simple concept. So, then, why is it so difficult to do? I have many people I need to forgive in order to move forward, and that revelation is the latest bread crumb found on my journey to my new life. It’s difficult when you sit down and list out the people who have hurt you in your life, and realize how many there are, and how many are still on your heart. 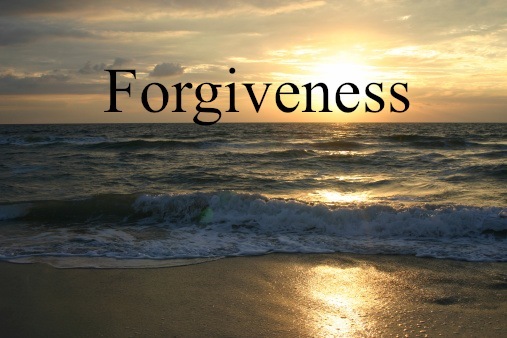 Let me step back, so…forgiveness is the key to my unhappiness. How did I go about starting to forgive? First, I sat down and made a list of people who had hurt me over the course of my life. And sadly, it was a very long list. I haven’t been treated well by many people. And then, I went back over that list and crossed out the names who I had already forgiven, and that left me with a smaller, yet very powerful list. Not because it was a reminder of all the hurt, but it was a revelation on how much I am still carrying around. How am I to heal, if that many wounds are still open? Answer: I won’t. It’s time to let them scar over. It’s time to truly forgive, with the hope that I’ll be able to drop this dead weight on my heart, and move forward into happiness. I need to forgive my parents, most of all. Both of them. Both human, both damaged on their own, and both selfish. Both made choices that affected me, but it’s my decision if that affectation is permanent. Childhood friends who treated me like crap, ex-loves who didn’t love me as I loved them, ex-coworkers who chipped away at my spirit. Again, all their actions affected me, but it’s my decision if the effect is permanent. And most importantly, me. I’m harder on myself than anyone could be; allowing others’ opinions of me to sometimes shape how I see myself. I haven’t taken care of my heart in a healthy way up to now, and it’s my decision if I want to continue that way or forgive myself…forgive all these people. And I choose to forgive. Honestly, it’s just words right now, but I know, with enough affirmation (ha! That’s the name of the Savage Garden song the quote is from! Love it when that spontaneously happens!) this forgiveness will become real. It will become truth. It’s just a matter of time.